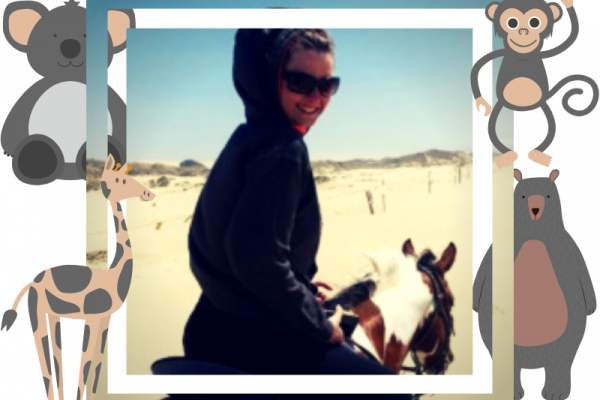 “My horse, Kasper, was so fantastic. I was one second out of 4th place and eight seconds out of first place in marathon. That’s a second or two per obstacle! It’s my fastest score and with a horse I didn’t show regularly. We’d come out of a turn and he was just on it!” exclaimed Diane. 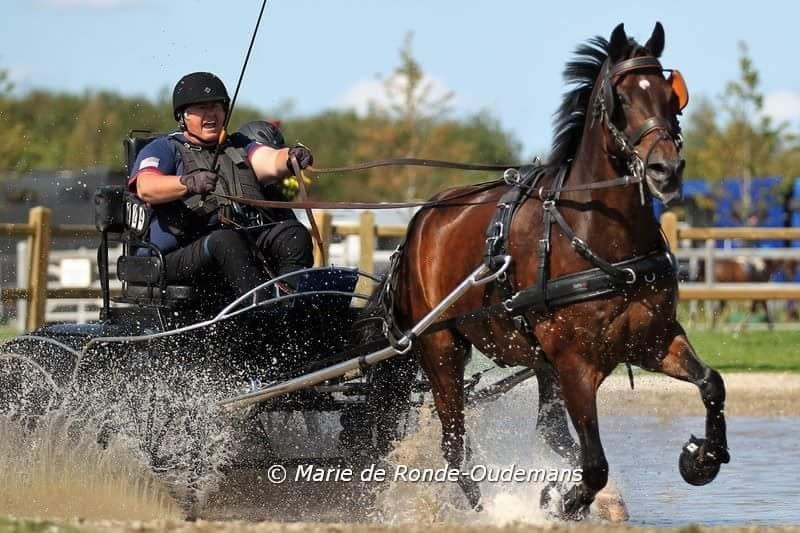 Marathon is one of the three events – Dressage and Cones are the other two – that comprise a Combined Driving event which is what the Para-Equestrian World Championship for Single Drivers is all about. 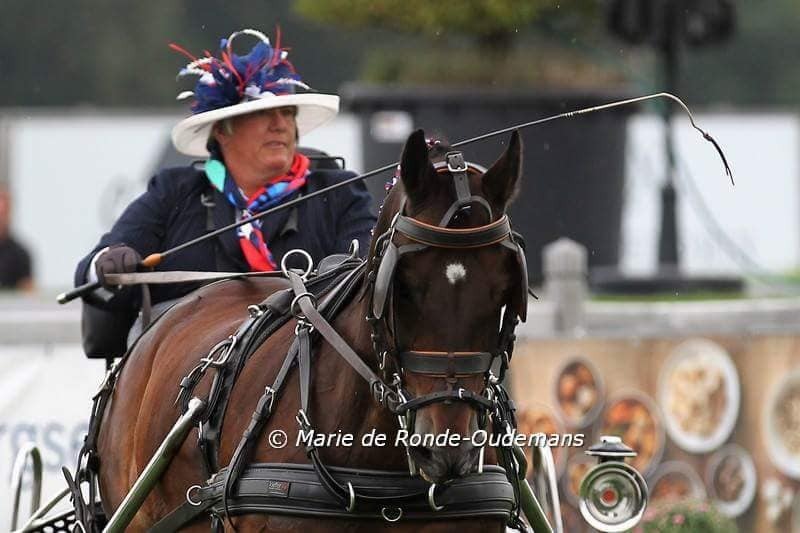 Overall, Diane placed 7th in the world this year driving Oosterwijk’s Kasper, a New Forest Pony owned by Koos De Ronde, otherwise known as “Kasper”, a horse she leased. Diane got along well with Kasper the first time she tried him. “To me he was easy to drive, though many said he was strong. It was like driving Rupert [her retired FEI horse at home]. In some ways he was easier than Rupert,” explained Diane. Kasper was so bold Diane had to have headers handle him in the start box, especially since the start box was right next to the last marathon obstacle where the crowd was cheering on their drivers. “He was climbing the walls!” Diane exclaimed. 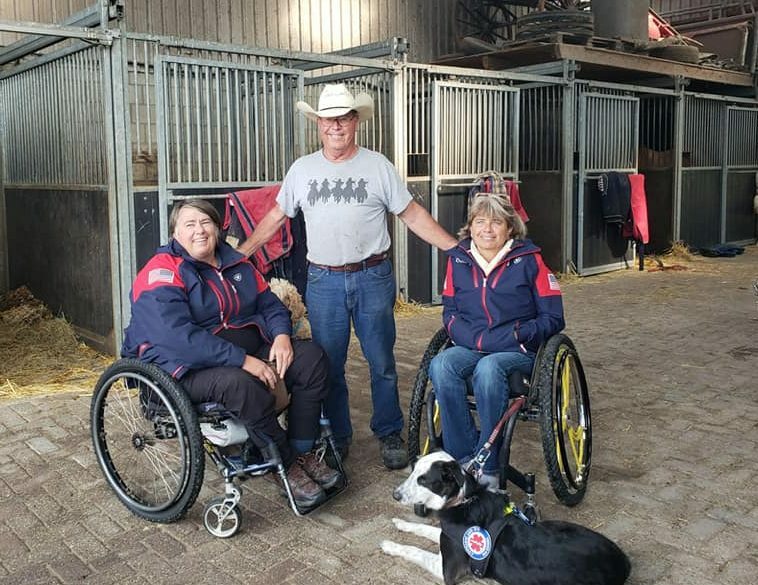 The US team placed 4th overall in Para-Equestrian World Championship for Single Drivers with Diane being the highest placed US driver. Diane, who lives her life in a wheel chair, is considered to be a Grade 1 in disability. 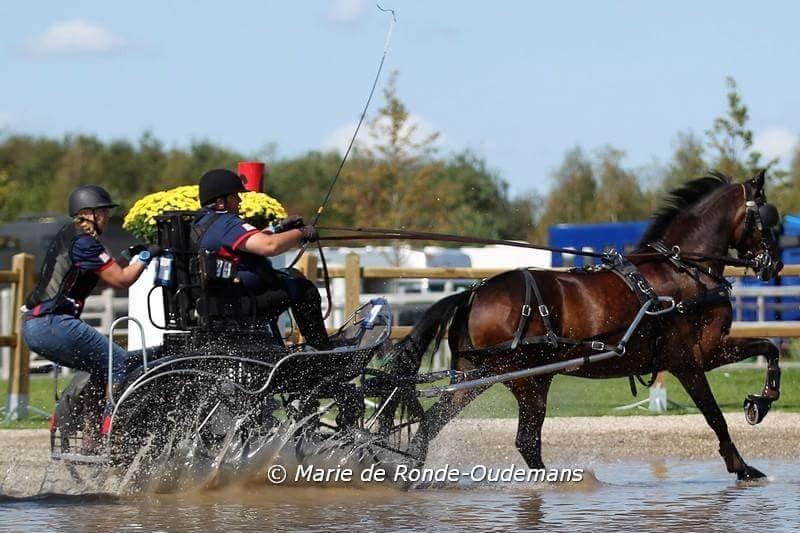 She had her carriage shipped to the Netherlands as it is specially-designed for her Para-Equestrian needs. 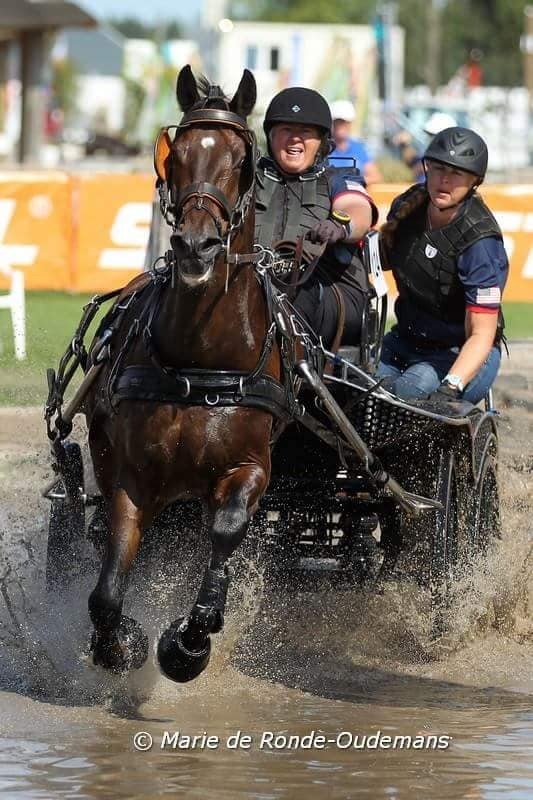 Tracy Bowman, from California, a US teammate also with a Grade 1 disability drove her own horse but leased a carriage which had her special seat attached. Bob Giles, of Florida and Maine, who is considered Grade 2 in disability was the third team member. He leased both the horse and carriage. “We all had something we weren’t used to, yet, look how well we did!” Diane said as she described the different aspects the team dealt with. 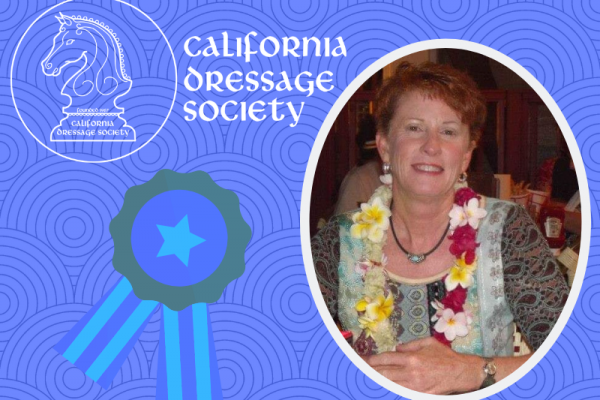 “I had four faults in cones, which I wasn’t happy with,” mentioned Diane, but I still moved up to 7th place!” Faults occur when the carriage knocks one of the cones. This phase is usually her strong suit but there were issues with being able to “walk” the course before she drove it. The vehicle the non-ambulatory drivers were given was bigger than the usual golf cart Diane is used to using for the course walk. This bigger option wouldn’t fit through some of the cones. Also the turning radius was much larger so developing a strategic plan and being able to visualize it prior to competing was not possible. Kelly Kastama, Diane’s niece, came along for the whole trip which started the first part of August. 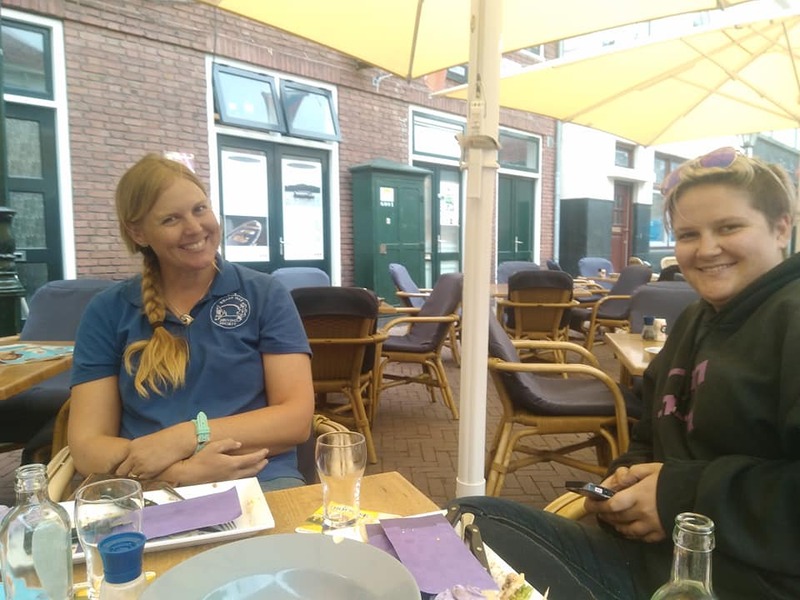 Lilla Hewitt, of Black Oaks Driving Club, joined her for the World Championships which took place August 27 – September 2, 2018. “There was no drama with my help!” which pleased Diane. Everyone worked well together which makes a big difference for the whole US team. “I got home and no personal horses were here. It was weird,” relayed Diane. 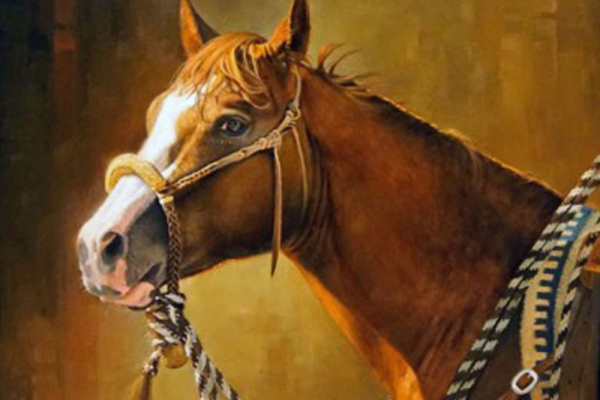 Her retired FEI horse, Rupert, was at her assistant’s house. 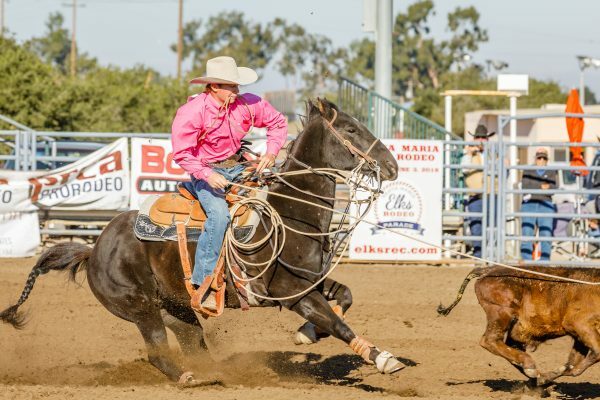 Her up-and-coming horse, Joy, was at Oasis Equine rehab and fitness center and her young horse was with a trainer near Lodi. “I was so exhausted. I had my friends bring two of my horses home for me.” Yet, no moss grows on Diane’s stone. She has picked up her carriage from LA and is off to Lodi for a clinic before a show with her young horse before bringing that one home.